Heavy duty 12 ga. steel, all welded cabinet. 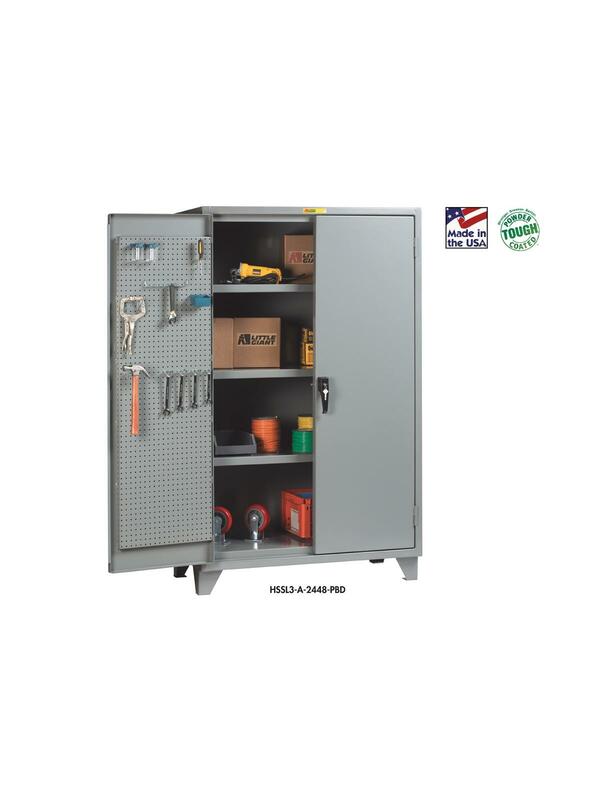 Each door has 16 ga. steel pegboard panels built in for additional storage. Doors fully open 180° to allow complete access. The pegboards have round holes on 1" centers that accept most common hooks and are perfect for keeping your tools visible and easy to grab. 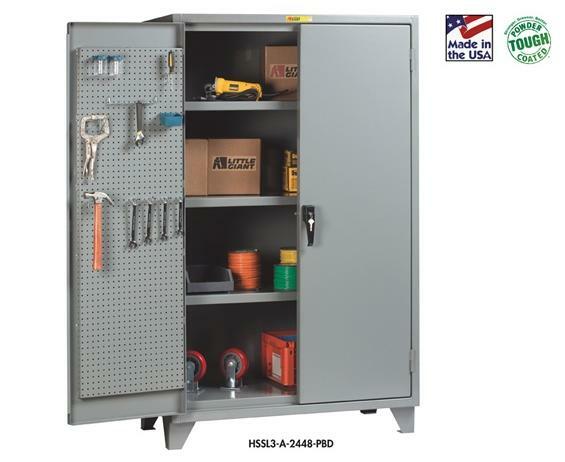 Available with 2 or 3 adjustable 14 ga. shelves that adjust on 3-1/2" increments. Keyed handle with 3 point locking system. FOB Shipping Point. 24 x 60 x 78"24 60 78"